E2-like enzyme involved in autophagy. Acts as an E2-like enzyme that catalyzes the conjugation of ATG12 to ATG5. ATG12 conjugation to ATG5 is required for autophagy. Likely serves as an ATG5-recognition molecule. Not involved in ATG12 conjugation to ATG3. 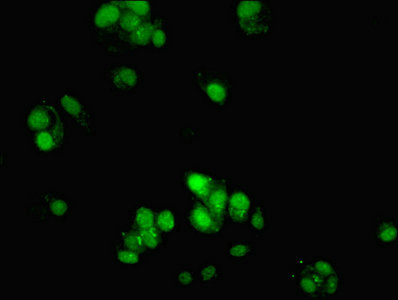 Plays a role in adenovirus-mediated cell lysis. ATG10 Polyclonal Antibody. Unconjugated. Raised in: Rabbit.